Admittedly, I have a positive bias with respect to law enforcement. 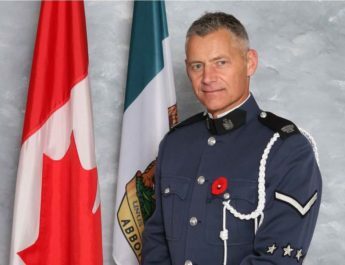 My step-father is a retired Vancouver Police Detective; several of my closest friends are current police officers; and though my profession is that of a public affairs practitioner I am, academically speaking, a criminologist with an expertise in international criminal law and terrorism. It is through these lenses that I write this column. When I grew-up I was always told that the police were the ‘good guys’ and that if I was ever in trouble it was always safe to ask a police officer for help. Indeed, all my friends were raised the same way and today they tell their kids the same thing. However, this notion of the police being the ‘good guys’ seems to diminish at some-point – somewhere in adolescence, or perhaps early adulthood – for many who themselves have no quarrels with law enforcement. Moreover, it seems that in the past 10 years this lack of respect for police officers – and the associated lack of public trust for the police – has escalated. The question is, why? Before I go any further allow me to state that in every profession there are a percentage of folks who do a disservice to their profession. A teacher engaged in sexual conduct with a student. A politician engaged in a conflict of interest. An executive engaged in corporate theft. And, yes, a police officer who may overstep his or her authority – often, in relation to use-of-force. Carrying-on, one of the reasons that the public may seem to have less respect for police – and, by default, are less trusting of the police – likely pertains to the role that social media plays in todays societal discourse. With most everyone having a cell-phone in-hand, it seems that not a week goes by where there is new footage of a police officer allegedly engaging in inappropriate use-of-force. As I stated above, there are a percentage of individuals in every profession who reflect poorly on their profession. Moreover, I’ll even concede that that percentage may be higher for those in positions of authority. However, I am tired of the hypercritical, unwarranted criticism that seemingly all those in the policing profession receive. Every police officer I know is a person of character and integrity. They go to work after saying good-bye to their loved ones, choosing to undertake the massive responsibilities that come with dealing with some of the most painful, challenging and dangerous elements of society. The reality is that everyday police officers are faced with dozen of different situations, with hundreds of different variables, and are expected to make split-second decisions. Moreover, many of these decisions are caught-on tape; something that seems to justify not giving them the benefit of the doubt even though what is filmed is often times only part of the story (often failing to show the events leading-up to whatever the situation may be). To that end, rather than applauding these individuals for their daily sacrifices – including sacrificing their physical, mental and emotional health – we judge them based on a few seconds, and seek to ban them from community events because “some people are intimidated”; a message that will undoubtedly only worsen the divide between police and the general public – in particular, our children. Nobody is perfect. But it is no longer acceptable for society to simply serve as jury and judge of these men and women, the vast majority of whom so faithfully execute their duties. It is time that we once again show police the respect they deserve and not attempt to marginalize them in the community – if only so our children remember that if they are ever in trouble, they can always turn to a police officer for help, because the police are indeed the ‘good guys’. Millennials and Stereotypes: Are They Fair?